With the right nutrition ratio, low carbers enter a rapid fat-burning state called ketosis. The ideal protein-fat-carb ratio gives low carb dieters three huge advantages. Most diets restrict daily calories, so you lose weight. The bad news: some of that weight loss is fat and some is lean muscle tissue. When we aren’t getting enough calories, we access other forms of stored energy, like muscle. The body tries to preserve fat stores and is perfectly willing to sacrifice muscle instead. Less muscle means a slower metabolism, which makes losing weight even more difficult and gaining it back all too simple. In most weight loss diets, at least some lean body mass is sacrificed to weight loss. Low carb diets are different. 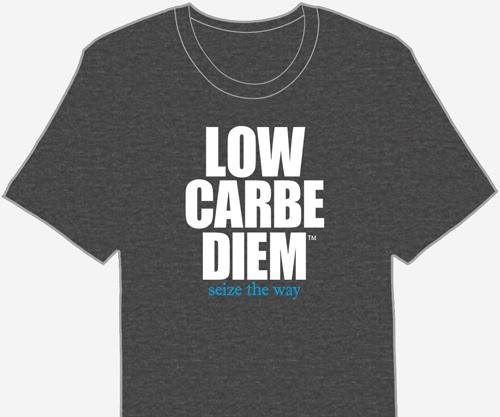 Low carbers retain the greatest amount of lean body mass compared to restricted-calorie and high carb diets. Low carbers enter a special, metabolic state of ketosis where the body uses it’s consumed and stored fat for fuel. Once in ketosis, the body actually prefers to use fat over glucose for energy. Since the body has extra stored fat, there is no need to oxidize protein to generate glucose (a process called gluconeogenesis). In ketosis, your body is far less likely to utilize your lean body mass (muscle and organ tissue) as fuel. It doesn’t need to, it already has plenty of fat for energy. I must admit: I love seeing dark purple on the end of my keto test strip. Keto sticks are a good detector of ketosis, but if the strip doesn’t register the presence of ketones, you can still be ketosis. Why? Because keto diets naturally provide enough fat to use for energy, the body spares muscle protein. Your body will use stored fat for fuel while sparing the protein our muscles need to strengthen and develop. To maintain and build muscle, do strength building exercises such as weight lifting or calisthenics. Is Your Carb Ratio OK? Done properly, the low carb ketogenic diet will not cause muscle loss. When you consume enough protein in the correct ratio, there’s no need for the body to break down its muscle tissue. Make sure to eat a correct ratio of proteins, fats and carbohydrates. A typical ratio for calorie intake could be 65% fat, 30% protein and 5% carbohydrates for weight or fat loss. Getting 65%-75% of your calories from fat gives the body enough fuel to operate. And making sure at least 20-30% of your calories are coming from protein means the muscles will have enough to become stronger, helping you lose more weight. A decrease in carbs and increase in healthy fats is a good way to discover the right levels for your body. If you gain fat, simply adjust the ratio: decrease the carbs even more and increase your fat intake with each meal. Gain muscle and maximize fat loss in the shortest time possible with HIIT (high intensity interval training) workout routines. HIIT workouts build muscle but don’t require large amounts of stored glucose to complete effectively. And the results happen FAST!